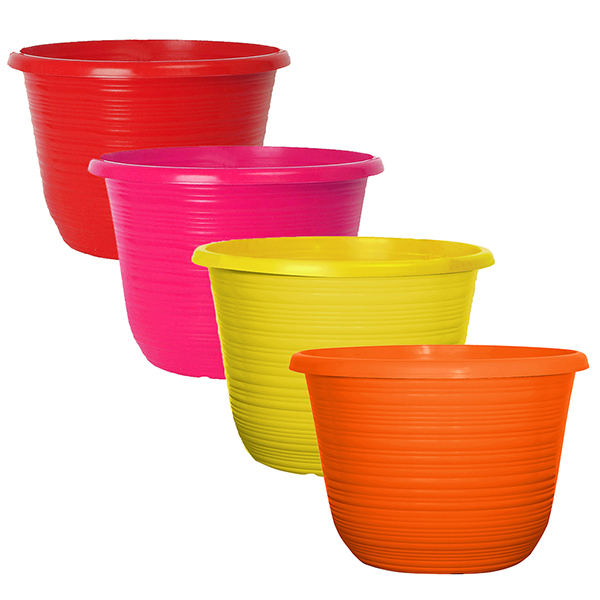 A set of 4 colourful 'Bellagio' planters to brighten up the drab autumn. Ideal for showing off your autumn bedding plants, and fabulously floral when filled with pansies or violas. 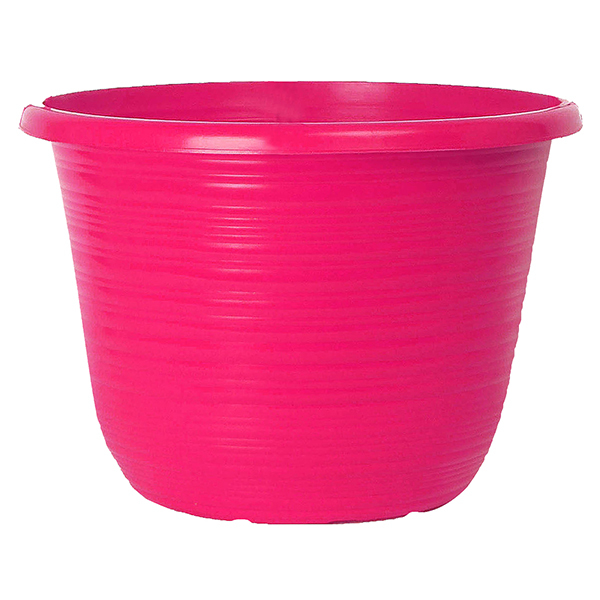 These 10in (25cm) planters are the perfect way to add instant impact to your garden, patio or balcony, they're definitely a dazzling reminder of the summer - they made us instantly think of childhood outings to the coast with a brightly coloured bucket and spade! 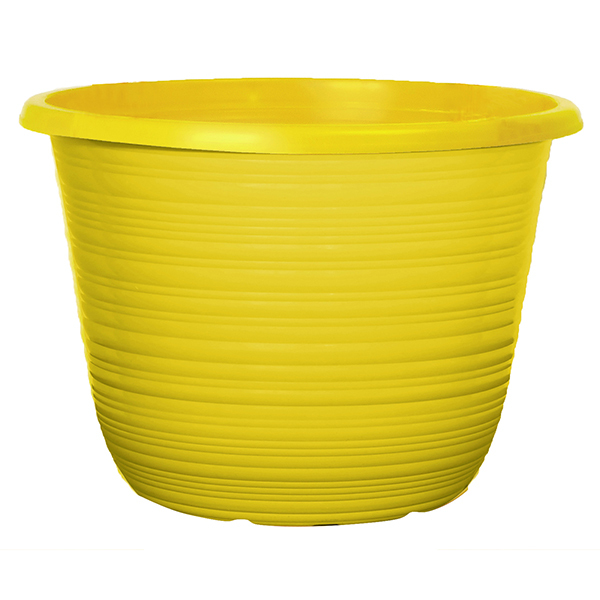 Made from lightweight plastic, with a subtle ridged pattern running around the outside, they can also be used as a pot cover for existing plain pots to add a splash of interest. 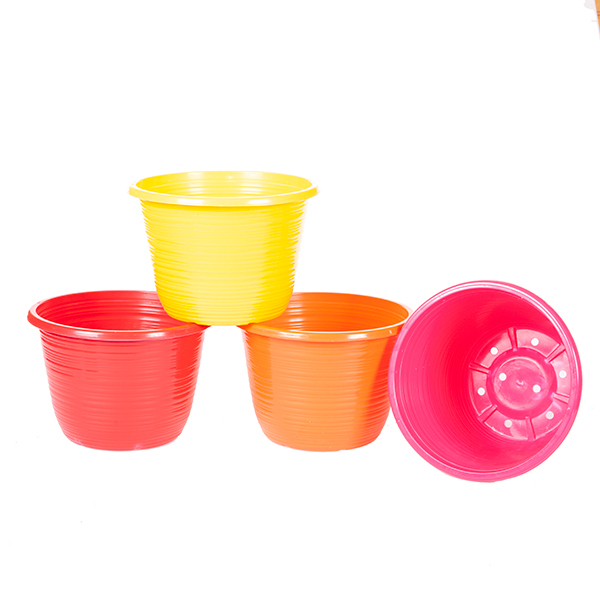 In addition, the drainage holes are predrilled, so there's no fiddling with power tools!